This show, which debuted in Tokyo in September 2017, will offer two concerts outside Japan, produced by Square-Enix and presented by La Fée Sauvage. They will take place in the United States and Europe this year. Music lovers have a meeting at the Dolby Theater in Los Angeles at 7 pm (for the opening of the doors, the concert starts at 8 pm). The second concert will take place in Dortmund, Germany on Friday, August 24th. Once again, you will understand that the concert will be held during a great gaming event, since at the same time, not far from there, will take place Gamescom (in Cologne from August 21 to 25). As in the USA, the concert will open at 7pm, starting at 8pm. It will take place at Konzerthaus Dortmund. Tickets already started selling since February 26th. 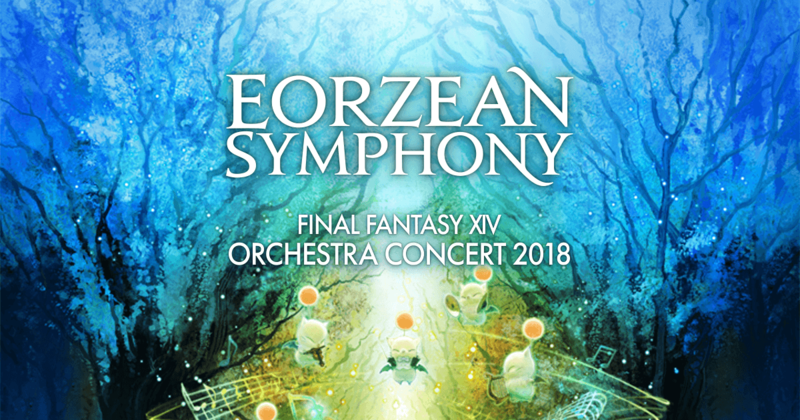 And if you can not attend any of these two concerts, know that they are also available in bluray, at the official Square-Enix store. If you need gils in game recently, you will want to join in our activity to get the 5% off code and buy cheapest Final Fantasy XIV Gil on FFXIV4GIL. Just mark the time and join in our activity on time. Hope you are lucky enough to find the 5% off code? Gook luck!